Walt Disney Pictures and Pixar Animation are going back to the toy-box to bring some old friends back to the screen. While discussing Disney’s fourth quarter and it’s fiscal year results to Wall Street analysts, Bob Iger made the official announcement that Toy Story 4 would be hitting the big screen in 2017. We love these characters so much; they are like family to us. We don’t want to do anything with them unless it lives up to or surpasses what’s gone before. 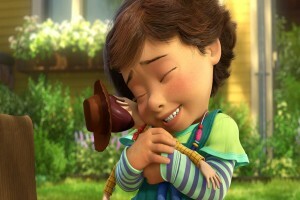 ‘Toy Story 3’ ended Woody and Buzz’s story with Andy so perfectly that for a long time, we never even talked about doing another ‘Toy Story’ movie. But when Andrew Stanton, Pete Docter, Lee Unkrich and I came up with this new idea, I just could not stop thinking about it. It was so exciting to me, I knew we had to make this movie – and I wanted to direct it myself. What could that idea be? These toys are now in a world where kids are more preoccupied with technology and video games, and less with toys. The hook may have something to do with that which is a threat, not only to Andy’s old toys, but to all toys everywhere. The group dynamics may change, as well, since Woody was Andy’s favorite toy, but he won’t necessarily be Bonnie’s favorite toy. For a series that has already had three films, it does feel like there’s a lot more to be developed. I guess we’ll know what the plot is about for sure come 2017. Toy Story 4 will premiere June 16, 2017.